Apple’s range of native iOS apps is pretty expansive these day, but is still arguably missing one key component – a dictionary. Sure, there’s a dictionary there in spirit, ensuring that you don’t make any spelling mistakes when typing up a message, but if you want to actually look up words and discover your definitions, you have to saunter on down to the App Store and find a suitable app. 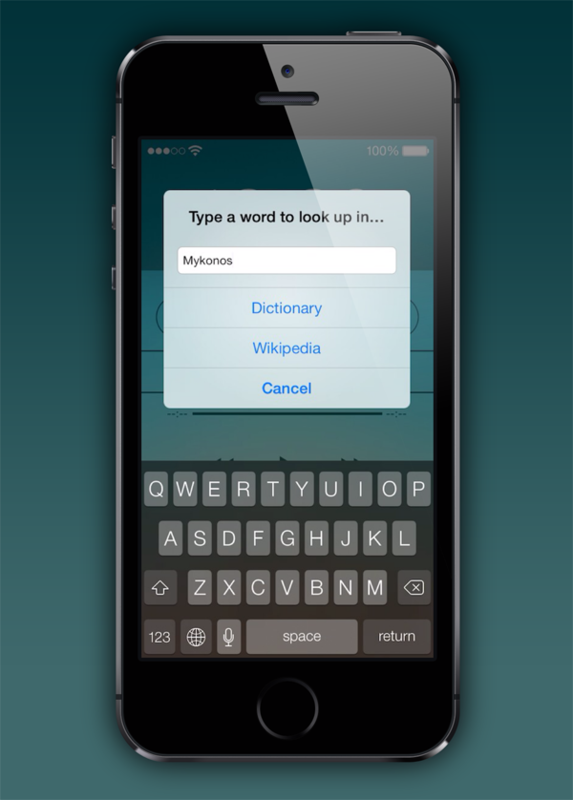 Luckily, thanks to a new tweak by the name of Define for iOS 7, you can enjoy an integrated dictionary, thesaurus and encyclopedia-like (read: Wikipedia) experience right from the Control Center. Although the tweak relies on CCLoader (as well as an Internet connection) in order to work, it functions superbly, and if, for example, you’re an avid reader always looking for a quick way to find the definition of a new word, then Define is the tweak for you. Sure, if you want to find out the meaning of a word or phrase, source a synonym or find out more information, you could simply run a search through Safari or Chrome. But not only does this process take longer – Define is, after all, situated conveniently within the Control Center – but it may inadvertently tempt you away from your reading or studying. Furthermore, no browser looks as native and minimalistic as the interface of Define, which slots nicely into the iOS 7 environment as if it were a native feature. Indeed, if Apple were to go ahead and implement this in the future, they probably wouldn’t change a thing. 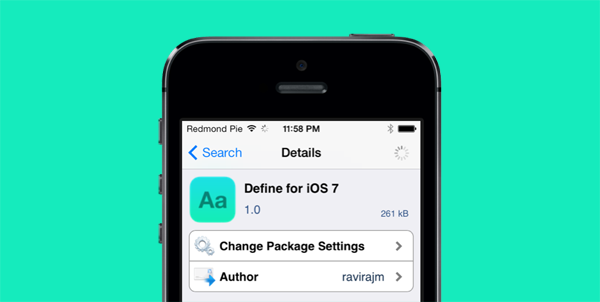 Define for iOS 7 costs just 99 cents, which in our opinion is a pretty good deal, and can be downloaded over at the BigBoss repository in Cydia. For its great features, slick interface and general usefulness, it’s worth every penny, and if you’re forever looking up new words and terms, save yourself a little time and grab this.